In our culture, we churn through clothes. Cotton is a popular fiber but it has a huge environmental footprint. But Circular Economy solutions are coming to the rescue. Note that this doesn't excuse compulsive buying habits, but at least we can feel a bit better about our choices. This article is written by Sue Ide, a colleague and member of the International Society of Sustainability Professionals, and is reprinted with her permission. I LOVE cotton T-shirts! I wear them all year around. They are comfortable on my skin, easy to maintain, and has a variety of colors and designs. I don’t even bother counting how many cotton T-shirts, I have in my closet. I have cotton T-shirts I wear only once or Never wear at all, such free T-shirts given at the volunteer events, bought or given as a souvenir. It’s a memory… so I still keep it. However, I always wondered, do I really need all of them? Cotton, also known as, The Thirsty Plant, requires a lot of water. In order to make 1 T-shirt, it uses 700 gallons of water. This can provide one person drinks for 900 days. Cotton not only uses a lot of water, but it pollutes the water. Cotton is Claimed for 20% of the world’s insecticide usage. The Sustainable Cotton Project estimates that the average acre of California cotton grown in 1995 received some 300 pounds of synthetic fertilizers or 1/3 pound of fertilizer to raise every pound of cotton. Synthetic fertilizers have been found to contaminate drinking wells in farm communities and pose other long-term threats to farm lands. Cotton is a very resource intensive and pollutive product. Is there a way to recycle cotton shirts to reduce the production of virgin crop? Due to the nature of the fast fashion trend, 15% of garments in factories will never be used and directly disposed. One Third of clothes are never sold. In order to keep the brand value, it goes straight to the Landfill or incineration. 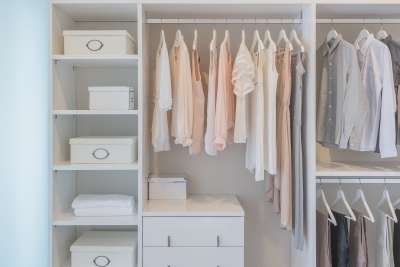 In the United States, 85 percent of the clothes in people’s closets will be thrown away. New technology of textile recycle is emerging. There is 2 ways of Textile recycling. Mechanical and Chemical (natural chemical. Nontoxic). Mechanical recycling is in place for years. It will bring clothes back to the fiber level by shredding. Then converted back to yarn to make new clothes. Because shredding damages the fiber quality. It can only be repeated for a few cycles.